Elegantly written and profoundly moving, this spellbinding debut affirms Boast's reputation as a "new young American voice for the ages" (Tom Franklin). 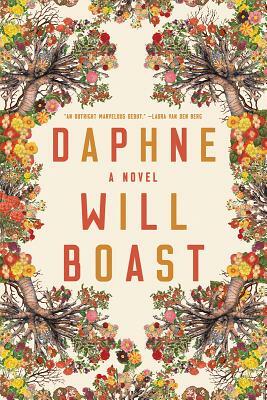 Born with a rare (and real) condition in which she suffers degrees of paralysis when faced with intense emotion, Daphne has few close friends and even fewer lovers. Like her mythic namesake, even one touch can freeze her. But when Daphne meets shy, charming Ollie, her well-honed defenses falter, and she's faced with an impossible choice: cling to her pristine, manicured isolation or risk the recklessness of real intimacy. Set against the vivid backdrop of a San Francisco flush with money and pulsing with protest, Daphne is a gripping and tender modern fable that explores both self-determination and the perpetual fight between love and safety.